The sad truth is that just about every woman you know — from your childhood best friend to your favorite coworker — is dealing with some sort of hormonal imbalance. Whether that imbalance manifests as PMS, uncontrollable acne, weight gain, or a full-blown endocrine disorder like PCOS or endometriosis depends on a host of factors. But the basic root of all these conditions is the same: hormones gone haywire. So how is it possible that the vast majority of women are suffering like this? And why isn’t anyone doing anything about it? It all goes back to our education. Think back to your middle school health ed class. How much did your teacher or your textbook talk in-depth about the phases of the menstrual cycle, female hormonal patterns, and the lifestyle factors that can optimize or impede these things? My guess is that the most you ever got on this topic was a cursory mention of periods and what they have to do with making babies; it’s unlikely that you ever got a true education in how your body works, and that’s unfortunately the case for most women. If you think things have changed in this social-media-savvy age, think again. Sure, there are thankfully scores of outspoken feminists trying change the cultural landscape and improving society’s concept of female health. But doctors are still doling out birth control as a “treatment” for all kinds of period problems and ignoring the underlying root causes of endocrine issues ranging from cramps to cysts. There are far too many women and girls suffering needlessly and in silence because they don’t know how to heal themselves. Think of checking your flow every month like being able to access free lab work for your hormone levels. Knowing the color tells you exactly what hormones are in and out of balance. The most important thing we’re not told as women is that we can absolutely change our periods for the better. And you’ll know right away if your eating is on track with your hormones because your period color will change as you get back in balance. Your period, your fifth vital sign, provides genius biofeedback for you! Use this quick guide to decode your period and discover the ways you can get your hormonal health back on track. PMS is the result of a hormone imbalance and it’s absolutely not something you should expect to be part of your period. In fact it’s a warning sign that something is majorly off in your endocrine system. It’s not something you should have to endure, put up with, or get through on a monthly basis. You can, should, and deserve to live a PMS-free life! All that crabbiness, agitation, anxiety, irritability, and moodiness that you’ve come to expect can actually be put in the past, once and for all. Talk honestly with your girlfriends about PMS and learn how you can help yourselves conquer the endocrine dysfunction at the root of it. Not only do birth control pills simply mask the causes of hormonal conditions and lull you into a false sense of normalcy; they come with a host of side effects that are very likely wreaking havoc on your entire body from your microbiome to your ovaries. This Band-Aid strategy isn’t a solution for any kind of hormonal imbalance and if your best gal pals are all on the pill, it’s time to talk about why transitioning off is a good idea. Ready for this truth bomb? : Your body is not designed for period cramps. In fact it is perfectly, beautifully designed for you to not have period cramps. It just needs a little support from you to return to that wonderful state. Women who have period cramps have higher levels of prostaglandins, which constrict blood vessels and make the uterus contract, than women who experience little to no period pain. Luckily, there are plenty of natural ways to manage and prevent the pain — be sure your girlfriends know about them! The most important thing you can discuss and share with your female friends is this: hormonal healing is absolutely, totally within your power and control. 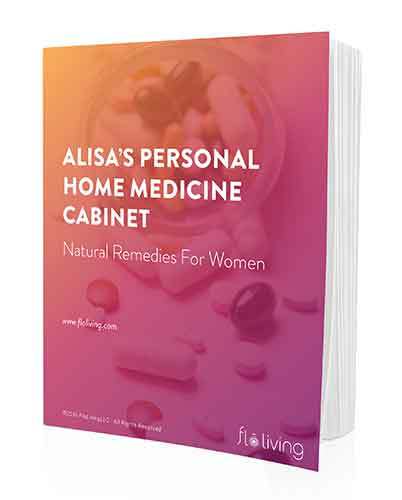 Whether you’re struggling with minor symptoms or you’ve been diagnosed with a full-fledged hormonal disorder and feel hopeless, know that there are natural, simple solutions to bring your body back into balance and harmony. Not sure where to start? 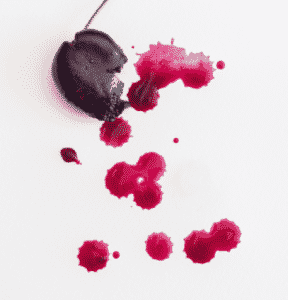 Take the free Period Type Quiz and figure out what your period is trying to tell you. Then download my new MyFLO app to start tracking your symptoms and learning the right actions to take at each phase of your cycle. The Balance by FLO supplements can help your endocrine system have the right building blocks to balance your hormones. And when you’re ready to combat your symptoms once and for all, it’s time to check out MonthlyFLO. Hi thank you for providing this helpful information for women. I have a thyroid condition known as hypothyroidism. Meaning my body isn’t producing enough of the hormone I need. I’ve been on synthroid medication for 19 years now. Is your program in any way something that could be safe for me? The protocol will likely help your condition, yes! !